One of the trusted few to have gathered substantial reliability as a filmmaker today is Vikramaditya Motwane. The filmmaker has been credited with three cinematic accomplishments that sadly didn’t translate into any Box Office success. I as an audience who’s believed in his brand of cinema had only been hoping Motwane stayed patient. As it turns out, Bhavesh Joshi is early signs of Motwane letting his agitation get to him. Bhavesh Joshi Superhero escalates into being something it didn’t set out to be. It starts off as something that demands your investment but doesn’t really know what to do with it later. Bhavesh, Siku and Rajat are three friends who in the sway of anti-corruption movements and heave of social media start a Youtube channel ‘Insaaf’ trusting it to be their bit for the society. While Bhavesh played by Priyanshu Painyuli is considerably invested, Siku is hanging in just for the fun of it. Some years down the line when Siku is planning his way abroad, Bhavesh is deeply devoted to expose the corrupts. A series of events quickly lead to things turning ugly and Siku who had committed himself to head abroad is now left to stay and fight the system as a virtual superhero. Bhavesh Joshi Superhero is two different movies. The one that first introduces itself to you is a rooted yet authentic narration of how infuriating corruption can be in our routine lives. It takes us closer to understanding how we as a society have almost made peace with the gaps. The first movie evokes exactly the kind of emotions it wanted to evoke in us. Without once going overboard or unrealistic in its territory, the first half sets itself up for an unfolding of something absolutely fresh and absorbs us in the lives of its characters. While it makes us angry at the sheer audacity of officials mocking the system, it also makes us rooting for characters trying to challenge it. And sadly enough when the film ends, you’re confused, lumbered and seemingly exhausted. A film like Bhavesh Joshi needed to rake up different emotions to establish itself as an impactful film. You will mostly find yourself trying to adjust to its perplexingly changing narrative in the second half. I was hurt to see the movie tracing shades of any other Bollywood movie with self-demonizing villains, a sacrificing lead, a waylaid girlfriend and on top of it a climax where viewers are expected to hope for the hero to not die. It hurt because that’s not what Bhavesh Joshi Superhero claimed to be and it’s certainly not what we associate Vikramaditya Motwane with. Unlike Mukkabaaz where Anurag Kashyap trusted his story to scathe lowly vigilantes garbing under Bharat Mata Ki Jai, Motwane’s attempt to make similar exposes seems forced and at times inessential. It is then when you realize he’s trying to do a lot of things with a story that perhaps doesn’t even warrant that potential. Bhavesh Joshi majorly falters in its casting. If a film is meant to make you live the journey through a character, you need that character to move you. Poor Harshwardhan Kapoor had a lot riding on himself in just his second film and there wasn’t much he could do with his limited range of expressions and scratchy delivery of Hindi dialogues. Flashbacking to Vineet Singh’s performance in Mukkabaaz could make you understand my point better. In a film where silence was a better communicator, Nishikant Kamath chooses to play the bad guy from 80s in a land of lawlessness. Priyanshu who plays Bhavesh is impressive. Both the corporater & the cop (I tried looking for their names) are good. The music is good and thankfully never hampers with the flow of things. The cinematography and editing are absolutely brilliant. The chase sequence in the second half has been wonderfully executed and there should be a mention of similar such scenes handled very well. The kind of look and feel Motwane has tried to give to this product is not bad at all. Anything less convincing could have terribly derailed things but he’s held on to make you believe in the plausibility even when there was little scope. 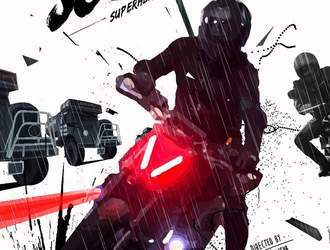 Bhavesh Joshi Superhero isn’t a badly made film, it’s a good one at that in fact. The craft however can only be as good as its efficacy to convey what it wants to convey. Motwane had this film in plan for a long time. He even put the idea in cold box doubting its relevance in the present age. I was easily able to read his reservations while watching the movie. The film could have worked on any other day in the calendar some years ago. I also see what could have made him revive the project but it didn’t really fall in place. If the second half was partially as good as the first one, Bhavesh Joshi Superhero could have made an impact. I’m desperate to eat my words that said Vikramaditya Motwane is letting the Box Office failure of his previous releases get to him. The filmmaker is a cut above his generation, hopefully he reiterates in his next.